What do Clark Kent, Bruce Wayne, Peter Parker and Selina Kyle all have in common? That’s right. They all had a secret identity. Masquerading as ordinary individuals, they would suddenly – when the time and need arose – become Superman, Batman, Spider Man and Catwoman respectively. Some pharmacists have secret identities too. Carefully concealing their true name and location, they nevertheless make a very public and profound impact on our profession. One such hero is Mr. Dispenser – a U.K. pharmacist whose secret power may very well be a superhuman sense of humor – for which many fans and readers like me are very grateful. The pharmacy profession, though rewarding in many ways, can sometimes be very stressful. Mr. Dispenser’s injection of humor, sarcasm and wit through his blog and books are a reliable refuge from those perpetual prescription pressures. I am very grateful that Mr. Dispenser agreed to talk with us here at The Honest Apothecary. I am excited to share his book – Pills, Thrills & Methadone Spills – with a broader audience. And maybe, just maybe, we might discover a clue or two about his true identity! 1) Mr. Dispenser, thanks so much for taking the time to chat with my readers here at The Honest Apothecary. Before we discuss your new book, maybe we can just talk a little about you and your career as a pharmacist. Without exposing any details that might reveal your true identity (I certainly wouldn’t try to do that) could you tell us a little about your career and work as a pharmacist? I have been a pharmacist for several years and mostly spend my days now crying about not being able to tweet at work and writing notes on scraps of paper things that I can tweet later. 2) According to your Twitter account you live and practice in the UK. Your blog narrows it further and says you are in England. Care to narrow it down a bit further for us? North England. The bit that always rains. 3) Hmmm. Okay. In reading your blog & book, U.S. readers might come across some terms for “pharmacist” which we are unfamiliar with. Could you explain the distinctions between a “relief” a “second” a “locum” and a “managing” pharmacist? A relief works for the same company but moves around different stores. A locum is not employed by a company and moves around different stores. A manager works in one place and cries a lot. 4) Who would you say are the biggest employers of community pharmacists in England? 5) I see. Very interesting. Umm…do you presently work for one of them? 6) Can a U.K. pharmacist plead the fifth? Well, never mind. Let’s see…what would you say are some of the most pressing concerns or issues facing community pharmacists in England? Lack of pens, demanding patients and doctor’s handwriting. 7) Pen shortages appear to be a universal pharmacy epidemic. Alright, well…could you tell us about why you wrote your first book and about how successful it has been? Too much time on my hands. I’m not sure how I can measure success. I’d like to think it has been successful. I’m still waiting for HBO to commission a mini-series though. 8) Okay, well what led you to consider writing a second book? Is it easier or harder than the first one? What is the second book about? I had always hoped to write a sequel if the first book was well received. I never really stopped writing to be honest. I did not include everything I had in the first book. The second book is similar to the first. Short chapters about different topics. It’s hopefully going to be bigger than the first. 9) So, um…is there a Mrs. Dispenser? If so, what does your wife call you? Yes, there is. This is a family blog so I really shouldn’t repeat what she calls me…. 10) Okay, this is my last shot. 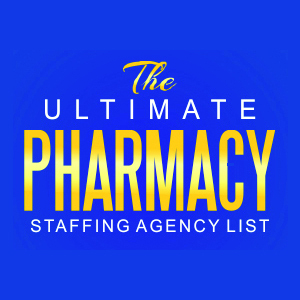 You work in a pharmacy…but do your co-workers know your true identity? Do they realize they are working side-by-side with THE Mr. Dispenser? My co-workers do know who I am but aren’t really bothered. This keeps me grounded. They haven’t followed me on twitter or liked my FB page. This gives me a chance to constructively criticize them on social media. So how can my readers find your book and purchase it? I am looking for anecdotes for the sequel via mrdispenser@hotmail.co.uk. I am happy to email a sample of the first book to anyone that is interested. I wish to express my since thanks to Mr. Dispenser – whoever you really are – for taking the time to share with us about his blog and book. I encourage my readers to connect with him on Twitter and through his blog and most important SHARE some of your pharmacy stories via his email above! Yes, I heartily recommend listening to the podcast posted below! Thanks Todd! I’ve heard of pharmacists that work in grocery store pharmacies… when they run out of pens they go to the “office” section of the store and grab a box of pens. I’m sure this same technique would work at Walgreens, CVS, Rite Aid, Walmart, Kmart, Fall-Apart, and even my Goofmart pharmacy.